Amazing 5th degree black belt "Shigong" is awesome. He has taught our son Mason to be more confident, poised, and great life lessons. Would highly recommend. Shigong Guerrero is hands down the utmost intuitive, sincere, authentic, and exceptional teacher one might find in a lifetime. His heart and dedication to his students is bar-none. If your looking to supercharge you or your child's life with skills and sustainability this is the man to see. Period. This is a great place for the family to go and learn self defense. Shigong Teddy is one of the top teachers of Northern Shou Shu. Shigong is a wonderful instructor and has an incredible rapport with the children. The classes are optimally designed for teaching self-defense, discipline and respect. I highly recommend Red Dragon and look forward to watching my daughter and other students continue to progress and evolve in the program. Shigong has amazing energy, and my kids love it here and there classmates. They enjoy every min of it. We love Red Dragon Shou Shu Pacific Beach. Shigong Guerrero is a blast. The kids love him and he always has the parents cracking up. My 5 year old asks every day if it's a "karate day." The price is great for what you get and Shigong is firm, but fun. He demands respect from the kids, which I appreciate as a parent. I only wish there was an adult class on the weekends I could take. The parking is tricky sometimes, but doable. I can guarantee you that is truly worth it. 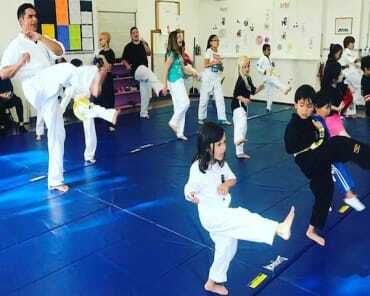 You and your family can learn a great martial arts that is applicable if the circumstances call for it. The environment at Red Dragon Shou Shu is awesome! We work hard but at the end time we have lots of fun. Come and join us! I can't say enough about the classes here! My son loves participating and is really learning a lot with shigong. My 4 year old really loves to interact and his listening skills have definitely improved since taking the classes. We love the sense of community the class brings and having such a great teacher for our son! Shigong Guerrero runs the studio like a big family where everyone is very friendly and encouraging. It’s been 2 years since my son started attending Red Dragon Shou Shu Pacific Beach twice a week. His concentration and self esteem have been changed in a very positive way. 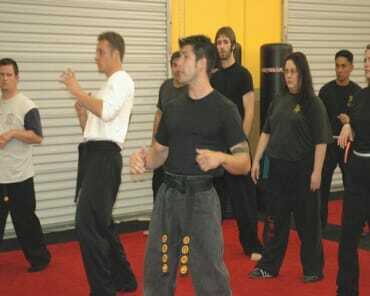 Red Dragon Shou Shu Pacific Beach provides a fun yet disciplined training environment. This class is amazing for both kids & adults! The instructor (Shigong Guerrero) is knowledgeable, professional & friendly. The schedule is accommodating. Kids learn & have fun at the same time! My son & daughter love it! Shigong Guerrero is a great instructor. His knowledge of this extremely effective martial art is of the charts!! This is the place you want to learn self defense! Come on out and check out Shi Gong Guerrero's school. He's one of best instructors in northern shou shu. I have had numerous lessons from him when he taught at my school in Sacramento. You will love his classes. 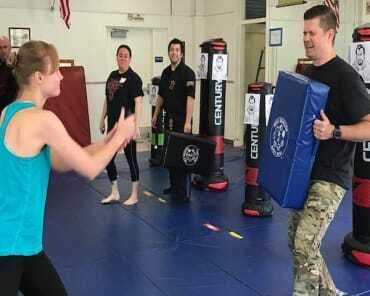 An incredibly welcoming school that offers the most effective self defense program available for a very reasonable price! The free lesson is well worth the visit. Red Dragon is the best self defense martial arts around. AWESOME instructor! Great with kids......Best place to take your family to learn. A must go!